Black Beauty is a classic children's tale about the trails and tribulations in the life of a horse from the horse's point of view. The story starts in the pasture where Black Beauty is born. We learn about his training to a bit and saddle. We follow his life as he grows up, makes friends, and is past from owner to owner good or bad. We learn how he deals the responsibilities of day to day living. Please Note: This book is easy to read in true text, not scanned images that can sometimes be difficult to decipher. The Microsoft eBook has a contents page linked to the chapter headings for easy navigation. The Adobe eBook has bookmarks at chapter headings and is printable up to two full copies per year. Both versions are text searchable. The Awakening, originally titled A Solitary Soul, is a novel by Kate Chopin, first published in 1899. Set in New Orleans and the Southern Louisiana coast at the end of the nineteenth century, the plot centers on Edna Pontellier and her struggle to reconcile her increasingly unorthodox views on femininity and motherhood with the prevailing social attitudes of the turn-­of-­the-­century South. It is one of the earliest American novels that focuses on women's issues without condescension. It is also widely seen as a landmark work of early feminism, generating mixed reaction from contemporary readers and criticism. 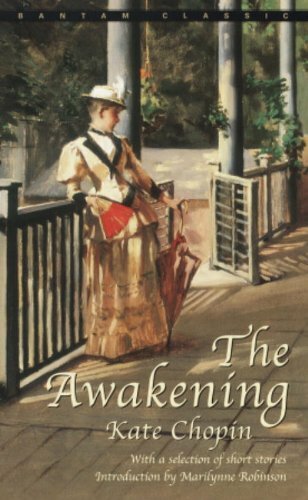 The novel's blend of realistic narrative, incisive social commentary, and psychological complexity makes The Awakening a precursor of American modernism; it prefigures the works of American novelists such as William Faulkner and Ernest Hemingway and echoes the works of contemporaries such as Edith Wharton and Henry James. It can also be considered among the first Southern . . . In which Anne Shirley of Green Gables and Avonlea plays some part, and which have to do with other personalities and events, including The Hurrying of Ludovic, Old Lady Lloyd, The Training of Felix, Little Joscelyn, The Winning of Lucinda, Old Man Shaw's Girl, Aunt Olivia's Beau, The Quarantine at Alexander Abraham's, Pa Sloane's Purchase, The Courting of Prissy Strong, The Miracle at Carmody, and finally The End of a Quarrel. Please Note: This book is easy to read in true text, not scanned images that can sometimes be difficult to decipher. The Microsoft eBook has a contents page linked to the chapter headings for easy navigation.  The Adobe eBook has bookmarks at chapter headings and is printable up to two full copies per year. Both versions are text searchable. A collection that ranges from ghosts on the open plains in the US, to High-­Society London and back to mid-­Western America, all during Queen Victoria's reign. Some are based on true stories and some are the way I wish things were, without all the rules and class distinctions. It’s summer, 1963, and Early and Toby dream of building an opera house in Africville, a black community struggling with poverty and illiteracy tethered to the north shore of Halifax, considered by many, a festering sore. But to simple-­minded Early Okander, brightly painted houses sprinkled haphazardly across train tracks, it’s poetry. He and Toby enjoy idyllic days rafting on Bedford Basin, dreaming of blueberry pancakes, and scavenging for church doors in the nearby dump with Penny, the kid from up the hill who’s bobbed her hair and reinvented herself into Chub. Both Early and Chub find refuge from abuse and intolerance around the kitchen table of Toby’s grandpa Aubrey—the interracial friendships much to the disapproval of Mrs. Aada Dupuis, Aubrey’s neighbour hell bent on making him husband number three. Safe and warm in this dilapidated house, the 1917 explosion and Aubrey’s war experiences are relived, along with the struggles of Toby’s parents and Aubrey’s long infatuation . . . The Four-­Chambered Heart, Anais Nin's third title in the Cities of the Interior series of novels, is one of Nin's most compelling books, with well-­defined characters (Djuna, Rango, and Zora), rhythmic waves of tension, and a powerful climax. The Conquest of Happiness is Bertrand Russell's recipe for good living. First published in 1930, it pre-­dates the current obsession with self-­help by decades. Leading the reader step by step through the causes of unhappiness and the personal choices, compromises and sacrifices that (may) lead to the final, affirmative conclusion of 'The Happy Man', this is popular philosophy, or even self-­help, as it should be written. t is the first Verne novel in which he perfected the "ingredients" of his later work, skillfully mixing a plot full of adventure and twists that hold the reader's interest with passages of technical, geographic, and historic description. The book gives readers a glimpse of the exploration of Africa, which was still not completely known to Europeans of the time, with explorers traveling all over the continent in search of its secrets.